Former Oklahoma City Mayor James Norick has died. Norick's son, former Oklahoma City Mayor Ron Norick, said Thursday that his father died Wednesday of natural causes. Ron Norick said funeral services are set for Monday, but details are not yet complete. 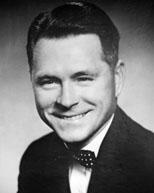 James Norick was elected Oklahoma City mayor twice, serving from 1959-63 and again from 1967-71. His terms included the construction of a 100-mile pipeline from Lake Atoka in southeastern Oklahoma to Lake Stanley Draper in Oklahoma City to provide a reliable water supply in Oklahoma City. He also oversaw an annexation program in which Oklahoma City grew from about 90 square miles to about 600 square miles. Norick also served on the City Council from 1951-55. He's survived by his son, daughter Vickie Norick, four grandchildren and six great-grandchildren. In the more rural parts of Oklahoma City there are thousands of residents who don’t pay for trash pickup, and they never have.